Although case management is not new, its work style has been changing over the time due mainly to the introduction of the capability to carry out tasks in an ad hoc way, rather than following a strict end-to-end process. It’s easy to understand how a single output of consolidated, correlated, and centralized data can deliver the actionable intelligence required to gain a holistic view of risks, manage case escalation, support investigations, or eliminate delays in case resolution. 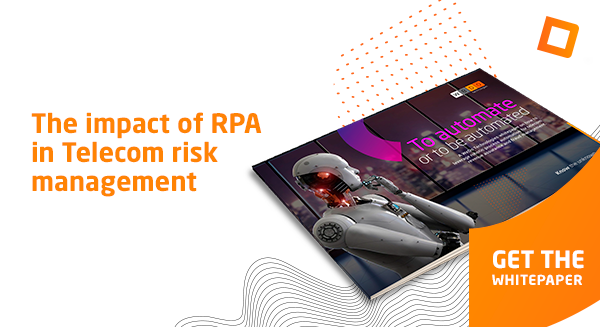 Along with case management, a new technology is emerging named Robotic Process Automation (RPA) which applies to following up risk and compliance functions. Unlike case management, this technology uses software “robots” to mimic human behavior and automate certain business processes, as a new way to drive cost efficiencies, and reduce manual efforts and remediation efforts. Despite being two different technologies and methodologies with distinct purposes and scopes, in the end they are highly complementary. In fact, they can be much more valuable if integrated and drive operational excellence when addressing risk management. At WeDo Technologies, we believe that RPA works better when attached to a case management tool. If you automate a part of a process with RPA, case management can deliver the necessary inputs to enable purposeful automation, instead of simply trying to plug the holes as they become identified. But do you really need integrated RPA and case management in your telecom operation? Let’s look at this scenario: you have a set of over 2 million call detail records (CDRs) that entered the mediation system and didn’t arrive to the billing system. Having a revenue assurance system in place such as WeDo Technologies’ RAID will mean you get a case management alarm for missing records and the required steps for case follow up. Instead of waiting for hours or days for someone to solve the problem, you can have integrated RPA technology for automated case resolution. Having said that, there are challenges to consider when deciding to adopt efficiently leveraged RPAs. RPA is suited for processes which are low on exception, well documented, manually addressed and repetitive in their nature. 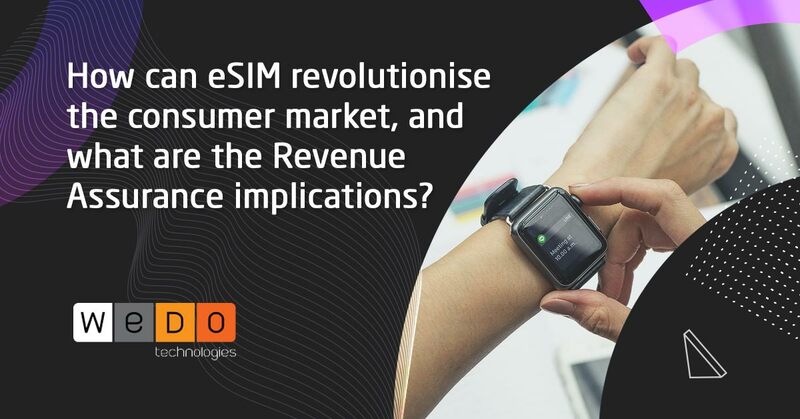 In an ideal world, a telco would have well-defined policies, processes, and procedures when it comes to handling alarms for revenue assurance and fraud management risks. In reality however, despite most telco processes being repeatable, they are not fully documented in what they need to address. Most successful RPA projects start with good process design. That’s why having skilled revenue assurance and fraud management practitioners designing the processes and producing the process definition document (PDD) in the first place is a strong foundation for success. As an example, many teams unfortunately spend more time discussing which RPA software to use rather than debating which revenue assurance and fraud management processes to automate and how to document them. Analyzing a telecom operator’s internal processes and designing the target outcome, reviewing the end-to-end processes and picking the right case escalation to automate with RPA, and designing the automated case resolution is just as important – if not more – as configuring the actual implementation to the unique step-by-step process requirements. At WeDo Technologies we believe that greater effectiveness can be unleashed by incorporating business process revision into the RPA context, rather than simply viewing the RPA matter as a project of a mere tool implementation. In fact, we believe an RPA tool integrated with RAID case management does not need to be WeDo’s proprietary technology. At the same time, we believe that RPA deployment and quality standards can be achieved through our risk management consulting team best practices and expertise gained through a wide range of experience reviewing and optimizing telecom value chains. If you put efficiency at the center of your telecom operational processes, we can help you through the end-to-end automation journey of your risk management strategy. Combining WeDo Technologies extensive knowledge and experience in the telecom sector with robotic process automation tools will help our telecommunications customers identify relevant areas relevant for robotic process automation and implement tailor made solutions with a quick turnaround within the risk management field.